This year, Coldwell Banker presents the second annual National Pet Adoption Weekend with Adopt-a-Pet.com on September 9-10, 2017. This event was one of the most successful ever when Coldwell Banker helped 20,000 dogs find homes in approx. 9 months! 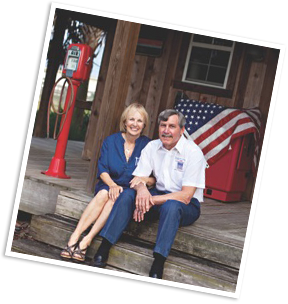 Ralph & Bonnie Cameron currently rank among the top Realtors in Alachua County and have closed a half billion in sales over their 40 years in real estate... Now their mission extends beyond home sales to help some furry friends. 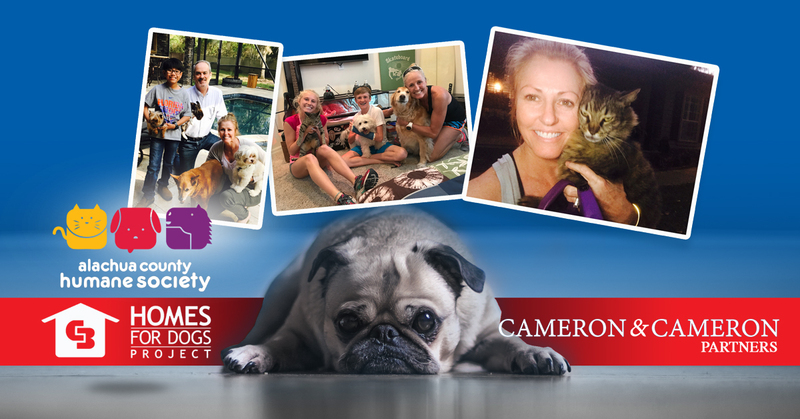 They are proud to share that they are participating in this year’s Coldwell Banker Homes for Dogs project! Ralph & Bonnie have teamed up with Adopt-a-Pet.com and Alachua County Humane Society to help adoptable animals find loving homes. The awesome staff and volunteers at the Alachua County Humane Society have everything covered on the day of the event. We could still use your help spreading the word about this special effort and with sponsorship of the event! 100% of the donations go to the Alachua County Humane Society for pet adoption! Sponsor a Pet! Your donation will cover the costs and fees associated with pet adoption (adoption fees, spay/neutering and shots) for one pet. Any leftover money will go toward adoption of other pets. 100% of the proceeds go to the Alachua County Humane Society! to help as many pets find homes as we can! View Adoptable Pets/Choose Pet to Sponsor!